Love, Gilda is one of the best documentaries of 2018. Sitting in the theatre watching, I was struck by how vital and how timeless Gilda Radner’s journey to stardom proved to be, how relatable her journey was even for viewers who never had the pleasure of watching her when she was a featured player on “Saturday Night Live” or catching her scene-stealing work in films like Hanky Panky or The Woman in Red back during their original theatrical release. A talented artist who broke new ground for women working in comedy, she also became a force of nature on Broadway, her one-woman show Gilda Radner – Live From New York a major success. 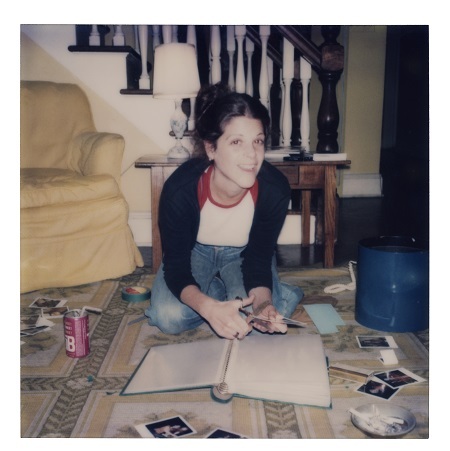 Director Lisa D’Apolito, given unprecedented access to Radner’s personal diaries, audio recording and home videos, brings the comedian’s life and times to the screen with astonishing clarity. From her early days working with the likes of Martin Short, to her iconic turns on “SNL” bringing classic characters like Roseanne Roseannadanna to life, to her marriage to Gene Wilder, battles against cancer and publication of her best-selling memoir It’s Always Something, it’s all here, and what’s truly extraordinary is just how resonating the comedian’s story still is today almost three full decades after her untimely death. Sara Michelle Fetters: This is your first documentary feature. When did you know Gilda’s story was one you needed to tell and you were the right person to do it? 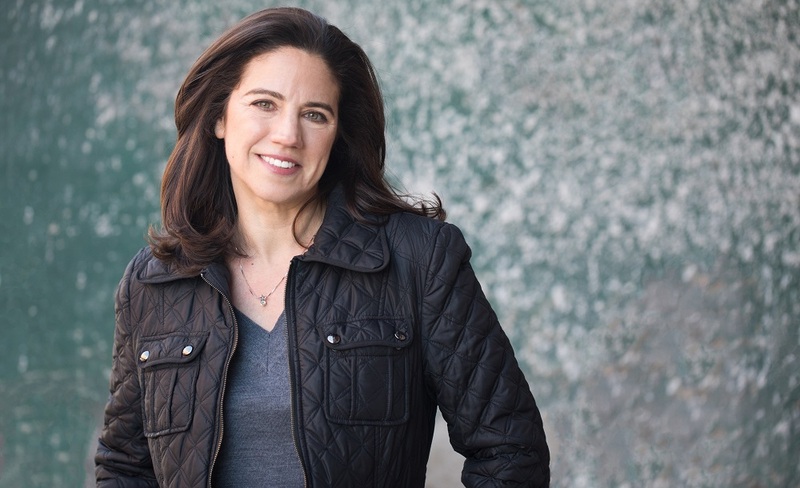 Lisa D’Apolito: My background is in advertising and commercials. I do all the fundraising videos for Gilda’s Club in New York City and I didn’t really know much about Gilda. I knew who she was, and her characters, but I didn’t know her story. But, wait; you know what Gilda’s Club is all about, yes? Sara Michelle Fetters: I do indeed. I did a couple fundraisers for the Seattle Gilda’s Club about a decade ago when I was Imperial Princess of Seattle. Lisa D’Apolito: Imperial Princess? My goodness. I’m being interviewed by royalty. Who knew? Sara Michelle Fetter: Not really. [laughs] It’s a long story. And was a lifetime ago. Besides, I want to know more how you went from doing promotional work for Gilda’s Club to making a thought-provoking, emotionally incisive documentary about Gilda Radner’s life. Lisa D’Apolito: Well I just fell in love with Gilda’s Club. That’s easy to do, as I’m sure you know. When I would interview members for these fundraising videos, they would talk about Gilda as if she was still present. I was like, this woman is just so special! And from there the film just evolved. 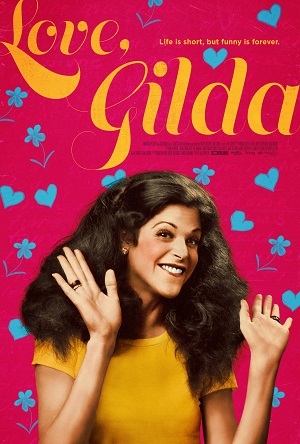 The film was originally about members of Gilda’s Club and how they were inspired by Gilda Radner. But I was filming these kids at Camp Sparkle and there was a little girl and she was drawing the Roseanne Roseannadanna character. I was like, “What are you doing?” “Oh, I’m drawing Gilda,” she responded. Just like that. And she had no idea who Gilda was. None. And yet she obviously still did. I was amazed. But that’s because Gilda is just still so present at Gilda’s Club. She’s always there, and this led me to go the head of Gilda’s Club in New York City and proclaim that I wanted to make a movie about Gilda Radner. I really thought she had the most unique legacy. Not just as an iconic female comedian, but as somebody who really is important to people who are going through cancer. There are 18 Gilda’s Clubs in the country and everyone, no matter their age or background, they know who Gilda is. That’s incredible. So I think that was my impetus to tell her story. People need to know about Gilda. I think subconsciously, I was like, we gotta tell people about Gilda, and I have to be the one to do it. I just knew I had to make this movie. Sara Michelle Fetters: Once you made that leap to tell her story, who did you end up getting all this access to her materials? Gilda’s diaries. All of those recording. Those home videos. You had access to so much stuff. At first he was very reluctant to let me take a look, but then Gilda’s best friend Judy Levy, who is in the film, wanted to see them, too, and she ended up flying down from Toronto to look through them with Michael. So I thought, why not film the two of them going through the boxes? That was the start of Michael gaining trust in me to the point he allowed me to look through the boxes as well. Admittedly, it was very overwhelming. It took me three trips to Detroit to really grasp and go through what was in the boxes. As I’d read Gilda’s book, the first thing I was looking for was any home movies because I knew from the book that she had recorded her ninth chemotherapy. I really wanted to find that. Sara Michelle Fetters: That had to be something, going through all that material not really knowing what it was you were going to find. Lisa D’Apolito: It was. There were so many boxes and so many various VHS recordings of so many different things. But them Judy picks up this VHS tape and written on the side it clearly says, “Gilda’s Ninth Chemotherapy Video.” I couldn’t believe it. But we put the tape in the player and there’s Gilda in her hospital. It was amazing. Just amazing that she recorded her own chemotherapy session. And then I watched it I realized it was so much more than that. She had edited it. This tape was like its own 20-minute film! It was just extraordinary. From then on I was a woman on a mission. Every family member, everyone friend, anyone who had ever met Gilda, I had them go into their storage units looking for whatever they could find. I went to libraries. I went on eBay. I looked for anything that I could find that was personal because I knew after watching that chemotherapy tape I wanted Gilda to tell her own story. I wanted the story to come from her point of view. Sara Michelle Fetters: Was that the point you realized Gilda had to be the one telling this story? Lisa D’Apolito: It was. When I heard the original audio tapes, I wanted the audience to feel exactly what I was feeling. My editors and I, we just listened to Gilda for 32 hours of Gilda. After the tapes were over we sat down and listened to them all over again. It was just hearing her, it was heartbreaking and inspiring. I went to every journalist that I could find, calling them up and asking, “Hey, do you have the tape of when you recorded Gilda Radner 42 years ago?” It was a Gilda scavenger hunt. But having Gilda tell her own story? That became my goal. I was so adamant. Nobody was going tell Gilda’s story but Gilda. Sara Michelle Fetters: Going through all of that material, never knowing what you were going to find, that had be like opening an unexpected present on Christmas morning. Lisa D’Apolito: I called it the “Gilda Journey.” I never knew what was going to happen next. As new people came onto the team they would go through the experience. Everyone was walking away saying, “Gilda said this to me.” All of a sudden you feel like Gilda’s with you. It was good to see other editors come on board, other producers and the animators who were animating her writings. They all said that. Everyone got immersed into the world of Gilda. Sara Michelle Fetters: Even so, could you have ever imagined the reactions you’ve been getting from these enthusiastic festival audiences? Lisa D’Apolito: Never! It’s a little surreal. You always wish that people are going to like your movie. Everyone wants an Academy Award. You dream about that stuff. When it became the opening film at Tribeca. I think I cried. Tina Fey opened the film, and she almost cried twice talking about Gilda. She was mentioning my name and she’s expressing all this love for the film. That was something. And then seeing the kids of today, younger audiences, being so interested, whether they’ll see the film or not I think that’s exciting. Sara Michelle Fetters: Speaking of people like Tina Fey, you’ve got actors like Melissa McCarthy and Amy Poehler reading from those journals. It’s pretty remarkable, watching them all sitting there, reading her diaries and responding to Gilda’s words with such emotion. Lisa D’Apolito: I think that was probably the most surprising thing. You imagined people would say how much they loved watching her on television or that they modeled their careers on her, stuff like that. You would expect those kinds of things. But I had limited time with everybody, and I didn’t let them know what I was going to ask them to do. That’s not quite accurate. Actually they wound up knowing that they were going to see the journals. But I didn’t really let them know they were going to be reading excerpts from them. Amy was my first person to get the journals. You don’t want to go through agents because they’ll want to know what their client is going to be reading. It was my producer who suggested I just read something from them myself, that I just take out the diary and read to Amy. So that’s what I did. I took out the diary and I said, “This is Gilda’s journal.” The look on Amy’s face was priceless. “This is Gilda’s journal?” she asked immediately? She grabbed the pages out of my hands and just started reading. It was an incredible moment. That’s how it was with all of them. Bill Hader was visibly shaking when he was looking over the pages. I was a little shocked just how much Gilda and her words meant to all of them. Sara Michelle Fetters: How did you decide on who was going to read what? Lisa D’Apolito: There are a couple of journals. One of them is nicknamed “The Fame Journal,” which is the one we mostly use in the film. It was so important to me to have their reactions to that journal in the film. I tried to choose sections for them to look at I felt they’d respond to emotionally. Fame was so hard for Gilda, but she still made fun of it all, found humor in her own insecurities. This “Fame Journal” is a really great journal. After that I supplemented other things I thought they would resonate with them all, little pieces from other journals. There’s a lot of material of each of them responding to all of it. The DVD extras will be so good. There’s so much material. There’s like four-a-half hours of the comedians reading and talking about Gilda. It’s amazing stuff, but we had to cut a lot of it out because I didn’t want any of this to overpower the film. Sara Michelle Fetters: And the great thing is that they don’t overpower the film. You utilize them so sparingly, sprinkling their appearances here and there to augment what Gilda happens to be talking about herself at any given moment. Lisa D’Apolito: That was the idea. I’m glad you think we pulled it off. Sara Michelle Fetter: Also, when was the last documentary you have to tell people to stay through the credits for the post-credits stinger? It’s like you’ve made the Marvel film of documentaries. Lisa D’Apolito: [laughs] If you say so. I do wish I would have sprinkled in some pictures of Gilda and her life into the credits in order to help ensure audiences will stay through the end. Hopefully they still will. Sara Michelle Fetters: You also have some surprisingly intimate interviews with many of Gilda’s contemporaries, including insights from Martin Short, Chevy Chase, Laraine Newman and Paul Shaffer, just to name four. All of them tend to get a little emotional as they talk about her. Lisa D’Apolito: They missed her. Everybody lost her. They lost her so young. They loved Gilda. They missed her. That was always sad. It was always sad. I felt like I made everybody sad, because they were remembering how much they loved her, and they remembered the loss they felt. So those were much more difficult interviews than the modern-day comedians, because they were all just remembering. But they did it for Gilda. Lorne Michaels, the most powerful man in comedy. He was still mourning. And yet he still did it, still sat down for the interview, not because he wanted to be in the film, but because he loved Gilda. He loved her. He respected her. They were such good friends. Everyone thought of her as an equal. Sara Michelle Fetters: It is always striking when you see that photo of the original “Saturday Night” cast. You see that extraordinary collection of talent. And Gilda wasn’t just a sidekick to the likes of Bill Murray or Dan Aykroyd or Chevy Chase. 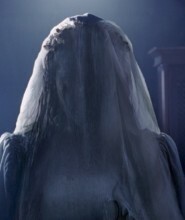 She was an essential member of the cast. Lisa D’Apolito: Gilda was a very generous performer. Very easy to perform with. Very giving. Very willing to make the other person look good and to just live in the moment. So I think some of the best sketches you see, with John Belushi and her, with Steve Martin and Bill Murray, she’s so generous with her talents. Gilda felt totally equal to all these guys. She had no doubt that she was as talented. She held her ground and she was really the breakout star. John and Dan went on to do The Blues Brothers, and Chevy Chase had a big career. But she was really the breakout star. The one everyone was talking about. She and Chevy Chase. They were really the breakout stars at the beginning. I think that’s fair to say. Sara Michelle Fetters: I love that moment when you show them all doing the show in New Orleans. She looks so terrified when she realizes just how many people are there to see them all. How could they not know they were so popular? That “Saturday Night” had become such a phenomenon. Lisa D’Apolito: I love that sequence of the film, too. It felt like an important sequence that we needed to explore. But how did they not know? I don’t know. It was the 1970s. You didn’t always know what people were watching in their dorm rooms. What people at college were gathering together, like 30 or 40 people in a room, to watch. And they were all so isolated. The “Saturday Night” cast was working like six days a week in order to make each show happen. They were all together pretty much all the time. They couldn’t really know what was going on in the outside world. They were in their own little creative bubble. So going to New Orleans? Seeing all those people? I think it had to be shocking to all of them to realize just how famous they all really were. Sara Michelle Fetters: Which is great because you make a point of showing just how hard Gilda is working, how much of herself she’s putting into each and every show. Lisa D’Apolito: Definitely. That was important. Sara Michelle Fetters: And then that’s juxtaposed with her thoughts from the journals talking about her insecurities, how difficult she was oftentimes finding things. Not only do you get a real feel for what it was like to be a woman working in a male-dominated industry in the 1970s, you’re also reminded that things haven’t changed nearly as much as we like to think they have. You compare what Gilda is talking about in her journals and it’s honestly not that far removed from what Frances McDormand was saying when she picked up her Best Actress Oscar. Lisa D’Apolito: I thought about that, too. The thing is, Gilda, she would wonder why this is still happening now. She would be wondering about it all. I think her insecurities were as a person in relationships. It was about her body issues. It was about her relationships. But she was a savvy business woman. She was a strong woman. Nobody took advantage of her career-wise. She wouldn’t let them. So I think she’d be shocked that this was still going on now. That was one of the things we wanted to explore that we didn’t get as strong in the film as I wanted. At least I don’t think we did. When you ask people who were there, the writers from “SNL,” the actors at the time, they all really truly felt equal. But the writers did have trouble. They had to fight to get their voices heard. But they did fight, and I think they all felt like they got what they wanted. At the same time, Gilda never got a writing credit, even though she was great writer. I mean, I don’t know if it worked back then, but that’s still pretty astonishing, if you think about it. That was an interesting tape, actually. Gilda talks about how they weren’t realizing how revolutionary they were and how the ‘70s were revolutionized for women. As she says, there were never women doctors on television. Newscasters were always blonde. If they were women they were blonde. They didn’t realize as the women’s movement was changing, comedy was changing too. And “Saturday Night Live” was reflecting that. I’m glad we were able to get snippets of that tape into the movie. Sara Michelle Fetters: And then of course, you have her relationship with Gene. 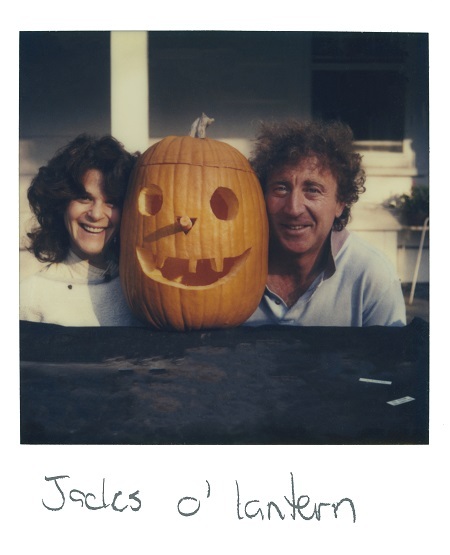 Your heart can’t help but break for Gilda Radner and Gene Wilder. Their story is so affecting. Why does that story between these two mean so much? Why does it affect us so deeply? Lisa D’Apolito: It is a love story. It’s that simple. Gilda loved Gene. Those hours of audiotape, it’s always “my husband.” She loved him so much. I think he taught her a different way of life. He taught her to enjoy food, to enjoy reading, to enjoy playing a game. Gilda was a homebody at heart. I think they were so different but so similar. I was able to spend a day with Gene a year before he died, and it was at the house that he and Gilda lived in, that he still lived in. He did go on and meet someone else. He had love. So it’s not such a sad story for him. But, talking to him about Gilda, she meant so much to him. I was nervous going to speak with Gene. I walk in to the room and he turns around and is really not well, but he turns around and looks at me with his big blue eyes and he’s still so handsome. Handsome. And he’s like, “You look like a little girl.” And I melted. It just made me feel so comfortable. Out of everything I had done, that was the day I was the most nervous. I wasn’t filming him or anything. It was just a meeting. He as so gracious with his time and he told me stories, stories that I didn’t believe even though they were in Gilda’s book but were just so incredible. But he made me look at them all through fresh eyes. He talked about the reason he married Gilda was that her dog ate rat poison. It’s not in the film. She was supposed to go to France with him but her dog ate rat poison, so she stayed behind. And he realized that she was independent. That she was her own person. He loved that. I mean, it’s a kind of weird story, but she tells it in her book as well and it sounds so surreal. Is it true? I don’t know. But having Gene tell it to me? That was magical. It became real. And that was their love story. It was real. Even when you couldn’t quite believe it, their love story was real. Every word. Sara Michelle Fetters: My mother adored Gilda Radner, and she followed just about every part of this story. 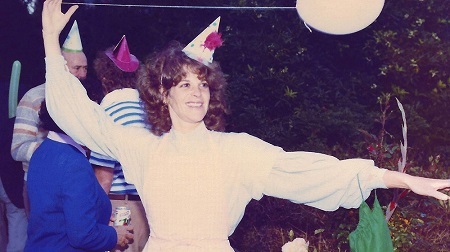 When she had her own breast cancer scare, I think, in a way, Gilda Radner helped her get through it. Lisa D’Apolito: And she got through it? Sara Michelle Fetters: She did. Yes. It was a real fight, but she’s still here. I guess I bring thing this up because, so many of us have been impacted by cancer in one way or another. We can relate to what Gilda is going through in a very personal, almost visceral way. All of which makes watching her battle, especially when we know the outcome, incredibly difficult to watch at times. Lisa D’Apolito: It had to be hard to watch, I think. But also inspiring. That was important. Gilda knew that this was a difficult fight; she knew what she was going through. Yet she still found a way to keep inspiring people. I don’t think she ever lost hope. Sara Michelle Fetters: Case in point, that chemotherapy video we were talking about earlier. It’s extraordinary. Lisa D’Apolito: I still cry during that moment. Every time. Audiences tend to laugh a little bit when they see her interacting with Sparkle, her dog, but that whole tape just wrecks me. Sara Michelle Fetters: Watching what Gilda Radner is going through, even though it’s tragic, it’s also quite heroic. I was inspired after watching this movie. I wanted to attack the world. I wanted to go out there and make a difference. That’s her legacy, isn’t it? That she could look at this horrible situation and keep fighting? Lisa D’Apolito: Yes. Definitely. That’s exactly it. Sara Michelle Fetters: Like with that appearance with Gary Shandling. That was, in essence, an act of resistance, don’t you think? A statement telling the world that, no matter what happened next, she would be victorious one way or another. Lisa D’Apolito: Yeah. I think you might be right. She just enjoyed the fight, I think. Throughout her life, whether it was overcoming her eating disorder or her battle with cancer, she started to heal and grow and mature and become a different person. As she left “SNL” and started doing movies, she fell in love with Gene, the whole world was opening up for her. And then she had cancer. But I think she made the best out of this situation, out of every situation. She never hit rock bottom. 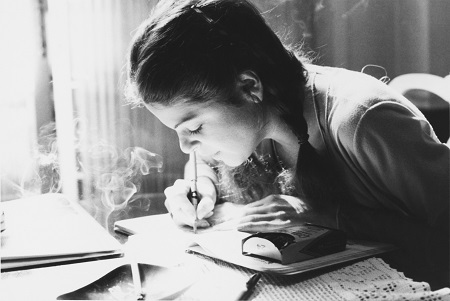 Even in the diaries, she’d write these horrible things, but she was always able to bounce herself out of these doldrums. That’s so inspiring to me because I can’t imagine going through what she was. Who knows how you would react? I hope I could react like Gilda. That would be my dream. But that’s so great that you felt inspired, because that was a tricky thing with the film because everyone knows the ending. We know Gilda didn’t beat cancer. So how do you do the ending when it’s not exactly uplifting? We had different ideas. Gilda talked a lot about all she was going through. She was in and out of hospitals. She talked a lot about all the awful things that were happening to her, but not in an awful way. But she really struggled, more than you see in the film. I didn’t want to go into the details of her surgeries and stuff like that. It didn’t feel appropriate. But through it all, no matter how difficult it was, she just enjoyed life. She enjoyed people. And I think with cancer, she met so many amazing people, people part of The Wellness Community, so many who were going through the same thing as her. Gilda bonded on a level with them that maybe she hadn’t bonded with anyone else in a long time. Making sure that was in the movie was very important to me. I think people needed to see that. Sara Michelle Fetters: And is that Gilda’s legacy? That it goes beyond comedy, beyond being this extraordinary talent. That her legacy is this ability to stay positive in the face of such overwhelming odds. That she refused to stop fighting. Lisa D’Apolito: That’s what I’d like people to walk away with. Her legacy of really finding joy in the darkest of times. Finding a way out. As you see in the film, she does discover that this isn’t going to end well, that she’s not going to make it. But I guess her legacy is positiveness, and I think that’s important to showcase in world that’s not so positive right now. That’s why I always say that the world needs a Gilda. Like Amy Poehler says, Gilda was a red-blue, she’s like a red-blue state. She’s loved by all. I don’t think there’s anything about Gilda that pushes anybody away. She’s unifying. Two people who have totally different political beliefs could still both love Gilda. That’s her legacy. Sara Michelle Fetters: With that in mind, what do you hope people are talking about after the film comes to an end? Lisa D’Apolito: People are saying, “Thank you.” They’re saying, “Thank you, for making the film.” I mean, I did put a couple years of my life into making this, and there were so many times I thought it was never going to happen. That I was never going to finish. But I knew that would be a disservice to Gilda’s example. I had to keep plugging away. I had to finish. So what do I want people to be talking about? I hope they laugh. I hope they cry. I hope they feel like you do, that they feel inspired to go out and make a difference, to make a positive difference in the world around them. One other thing which came up only in Seattle, and it came up with all the modern-day comedians as well, people’s parents introduced them to Gilda. All the modern-day people were introduced by their parents. Beth Barrett, who did my Q&A last night, said the same thing. So that’s amazing. I never truly realized how many people have told me their parents introduced them to Gilda. It’s a family thing. So, with this film, it’s like now this new generation gets to know about her. We get to pass Gilda along onto them. I’d never thought about that before I’d gotten to Seattle. So Gilda’s journey continues. All these decades later, her story remains vital. I love that.